Were you pulled over for speeding and charged with possession or another type of drug crime? You can take immediate action to protect your rights and future by speaking with a skilled defense attorney at the Law Office of Kenneth P. Carp. Do not wait to speak with a St. Louis drug charges and traffic stops defense attorney from our law firm. Call today for your free initial consultation: 636-947-3600. PULLED OVER FOR SPEEDING AND ARRESTED FOR DRUGS? With more than 20 years of legal experience, our skilled defense attorneys can immediately begin building a solid defense on your behalf. We handle the defense of misdemeanor drug possession, including prescription drug medication, and possession of drug paraphernalia. We will look at the legality of the stop as well as the search of your vehicle. Did law enforcement have probable cause to pull you over? Did they have probable cause to search your vehicle? We make every effort to have the charges dropped altogether or reduced. If necessary, we can negotiate a plea bargain with the court. With extensive experience in all of the local courts in the St. Louis area, we can readily identify your best defense strategy. We will consider the facts of your case as well as the practices in each specific court. Wherever you were stopped in the St. Louis area, we can provide you with an accurate assessment of the penalties you face and the likelihood of success with different strategies. Our Missouri drug charge defense attorneys represent local drivers, first offenders, repeat offender, military drivers and Illinois drivers, as well as drivers from other states, commercial drivers and drivers under the age of 18. Were you pulled over and then searched illegally for drugs? Talk to an experienced attorney today to explore your options and avoid jail. 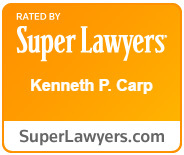 Call the Law Office of Kenneth P. Carp at 636-947-3600 for a free consultation. You can also contact us online.